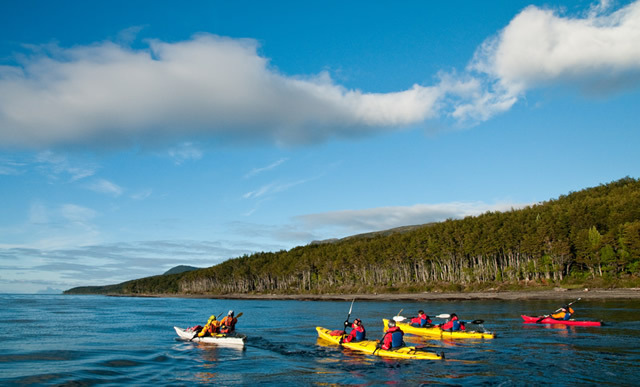 Situated 27 km south of Punta Arenas, Agua Fresca Bay is habitat for many different species due to its beaches, mountains and forests on the shores. 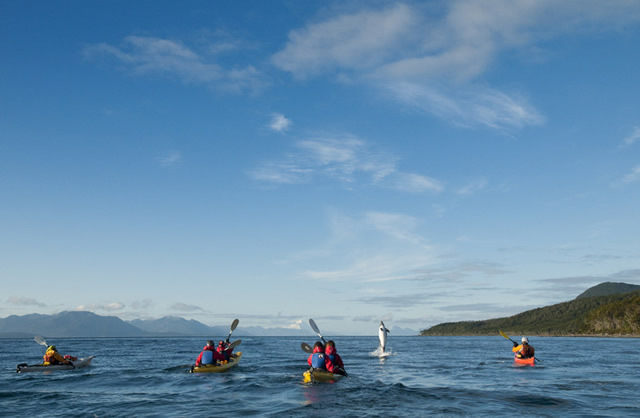 Seabirds, sea lions, dolphins and other species can be observed in their natural environment. 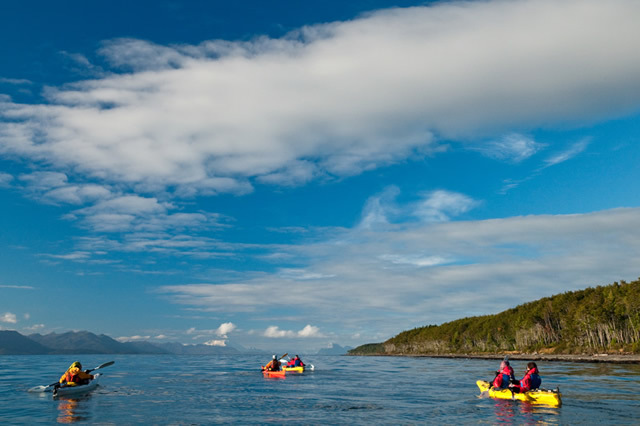 The two-hour kayak tour begins with exercises in a small shallow river, later the tour leads to the Strait of Magellan. After the Kayak-Adventure, you will have a typical patagonian snack. The complete kayak equipment is provided. We recommend taking a second set of clothes and swimwear.